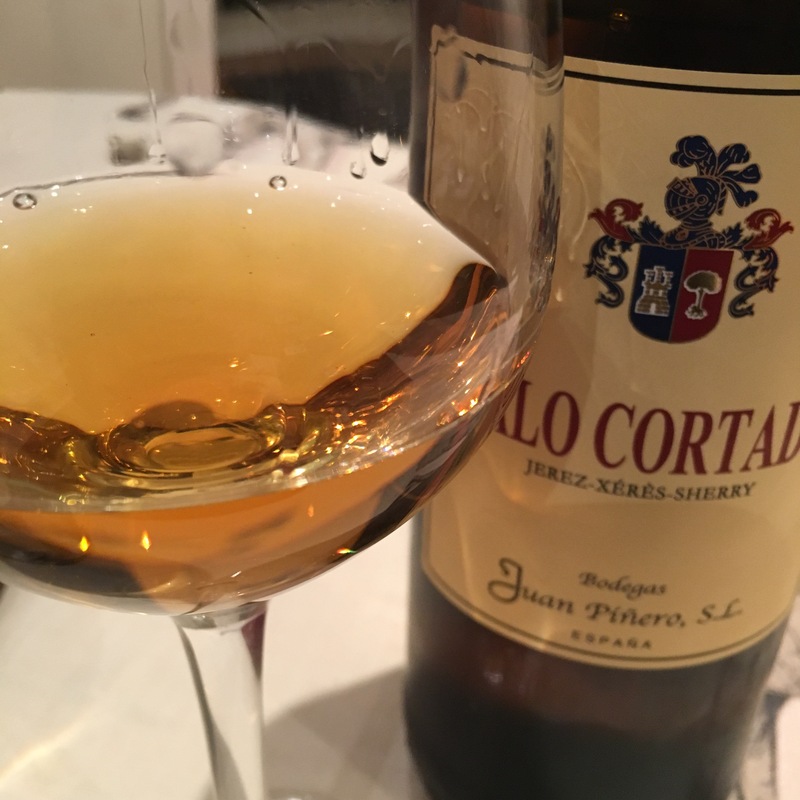 A palo cortado that started life as a manzanilla but showed signs of rebellion, was plucked from the criaderas early and set to rust in the salty Sanlucar sunshine. The naughty nephew of the Maruja, if you will. This is an extremely fine palo cortado in the Sanlucar mould – one of the easiest wines to drink and enjoy you could come across. I keep pouring a glass with the intention of savouring and getting to grips and then I look up and find an empty glass. It is the kind of wine any restaurant should have on its wine list, easy drinking, good with anything, thirst inducing and, most of all, mood improving. OK forcing myself to concentrate: lighter, yellow of orange amber colour, sweet and enticing, slightly alcoholic nose, then salty and tasty palate. One of these salty caramel numbers that are all the go. Not over complex but long and, as I said before, thirst inducing and mood improving. What an absolute beauty of a wine.